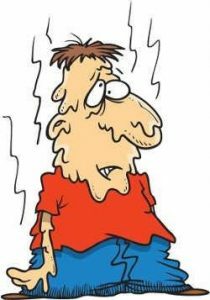 The first heat of the summer season comes and you turn on your A/C. It comes on, but it is blowing warm air. Now you panic! There are many different reasons why your A/C is blowing warm air, but before you call a professional HVAC contractor, you might check a couple items first. Thermostat settings-Make sure the setting is set to the cool setting and it is not just the fan. Yes, believe us it happens. Your thermostat should be set to “cool” and the fan option on “auto”. Inspect your HVAC unit- Whether you have a package unit or your HVAC unit consists of two components (an inside unit and an outside unit) both have condenser coils. These condenser coils can get dirty from normal use, as well as outside debris. Your outside unit can get clogged by dirt, pollen and leaves. You can help prevent this by making sure trees and shrubs are cut away from the unit. We still suggest hiring a HVAC contractor periodically to come out and chemically clean your coils. Dirty coils restrict the necessary air flow and creates undue hardship on your HVAC unit. It’s time to call a HVAC professional! The capacitor has failed- Your HVAC unit may have one or more capacitors. The capacitor(s) are attached to motors, they send a jolt to start up the motor (a “start” capacitor), or a regular series of jolts to keep the motor working ( “run” capacitor). If the capacitors are or have failed this would cause your system to produce warm air instead of cool. Another more complicated cause of your A/C unit is blowing warm air is low refrigerant or a refrigerant leak. Many people think that your system is low on refrigerant because “you used it all”. This is simply not the case. If your system is low on refrigerant you have a leak. Your HVAC system does not “use up all the refrigerant”. A HVAC professional will check your refrigerant levels to verify and add a UV dye to check for a refrigerant leak. Your HVAC system is one of the most expensive and most used items in your home. Waiting until it fails can cause repairs to be double or triple the cost of routine maintenance. Just as you take your vehicle in for routine maintenance, your HVAC unit needs routine maintenance as well. Call Performance Heating and Air Conditioning today to schedule your summer maintenance before it is too late.